Reel in foot traffic with colorful window graphics! Are you familiar with MAC Cosmetics at the Cerritos Mall? 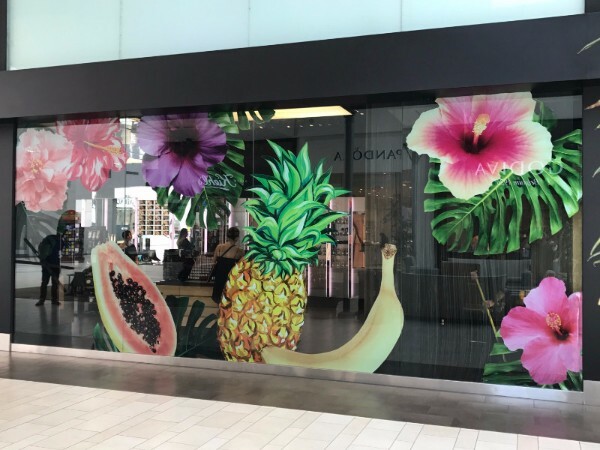 Located at 256 Los Cerritos Center, you cannot help but notice the venue with its exotic fruit and flower window graphics. The business specializes in beautiful makeup products that flatter any complexion and embrace style and artistry alike. A look at the storefront windows before the vinyl graphics! To underscore its current promotion, MAC contacted PMI Install in Orange County. This firm is a powerhouse that turns display windows and interior spaces into product marketing sensations. 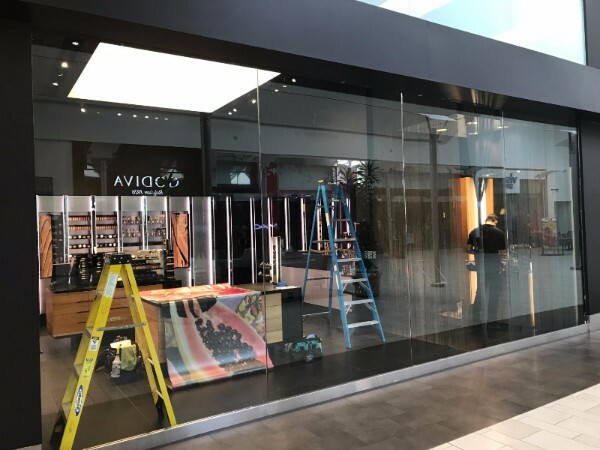 Although retail display installations are the company’s forte, window graphics for mall retailers in Orange County, CA, are not. At this juncture, our experts got the call. We met with the clients and took stock of the graphics. They are die-cut images depicting flowers and fruits that directly relate to the marketing campaign. Our vinyl products installers went to work and prepped the glass surfaces. Next, we set up the graphics and applied them for a maximum visual impact. Now, the windows for MAC look fantastic and grab the eye. Why Choose our Experts for Your Window Graphics Installations? A big difference after the vinyl graphics were installed! Plenty of sign shops offer vehicle vinyl graphics installations or retail window wrap display setups. But did you know that only a handful of these folks falls under the category of 3M Preferred Vinyl Graphics Installers? This title sets the standard. Rigorous training. Individuals who use vinyl films to create and install graphics products learn minute details that make a world of difference in the way the finished product looks and performs. Unbiased testing. The manufacturer training depends on these experts’ willingness to check the work of installers with an unbiased eye. Because the company’s reputation is at stake when installers mishandle vinyl films or make errors in judgment during installation, these folks do not play around. Only the best receive the title of a preferred installer. Yes, We do Design and Manufacture the Graphics, Too! 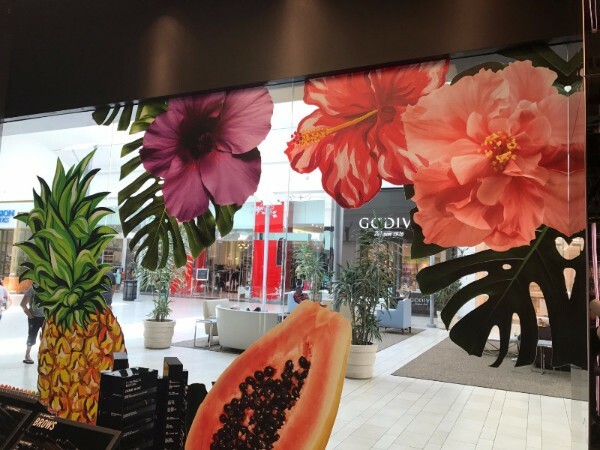 Ready to order window graphics for your retail store? Of course, we are not just expert window graphic installers in Orange County, CA. In fact, we also design graphics, manufacture the products, and then come out to install them. By assisting you with the product from start to finish, you have much greater control over the process. When your next marketing campaign is in a time crunch, and you want to break out with the new look before the competition does, work side by side with our graphic artists to put together the final appearance. This setup cuts down on time you spend on sending proofs back and forth and can give you a competitive edge. We also handle other types of rush jobs to ensure that you get your message to the consumer first. 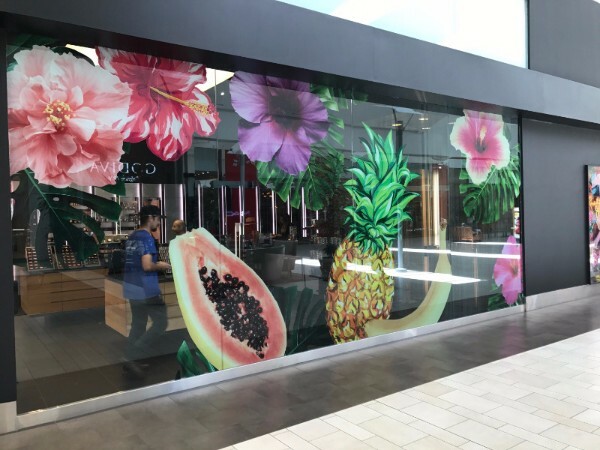 Do you want to take a page from the playbook of Cerritos Mall merchants and feature eye-grabbing image presentations on your windows? Maybe you are thinking of combining images with lettering to put together a strong branding and marketing presentation. No matter what your graphics needs may be, our pros – from visual artists to expert installers – can meet your needs and exceed expectations in the process.